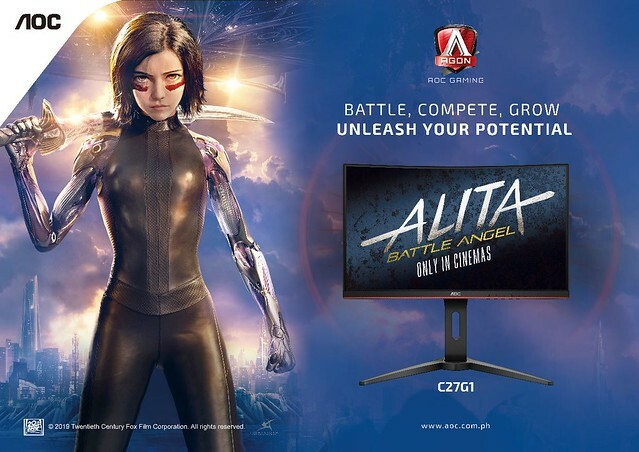 Global entertainment industry giant Twentieth (20th) Century Fox has once again joined forces with the Philippines’ leader in display technology, AOC. 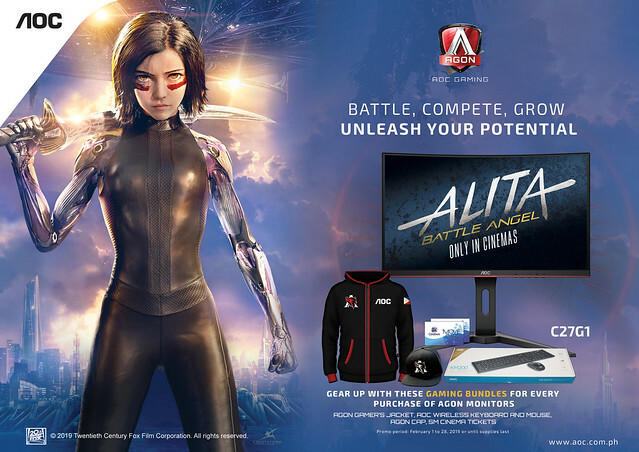 AOC is the official monitor partner of Alita: Battle Angel – one of this year’s biggest blockbuster films. Being in a partnership with Twentieth Century Fox is not a new thing for AOC. In previous years, the two brands have also collaborated for the promotion of other blockbuster hits like X-Men: First Class, The Martian, and many more. 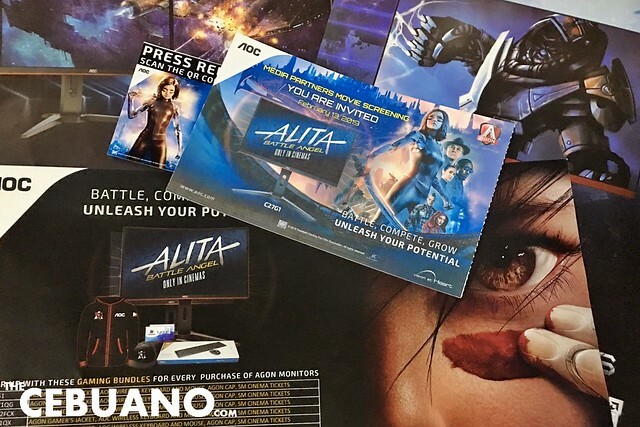 This year, the brands decided to once again come together to promote Alita. AOC’s partnership with 20th Century Fox involves cross-promotional activities including regional social media contests and a web-based game. Alita: Battle Angel is an ambitious project from visionary filmmakers James Cameron and Robert Rodriguez. The epic tale follows the adventures and life of Alita, an abandoned cyborg who wakes up with no memory of her previous life. Alita, a fierce, independent, and brave young woman out to prove herself, shares similar characteristics and traits with a lot of characters visible in role-playing and online games. Last February 13, 2019, AOC visited Cebu for the Cebu leg of their Alita promotion. 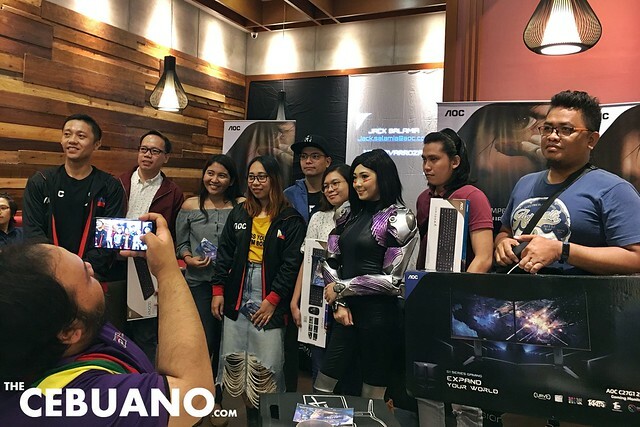 The gathering was attended by members of the local media as well as some of the city’s biggest bloggers, vloggers, and influencers. 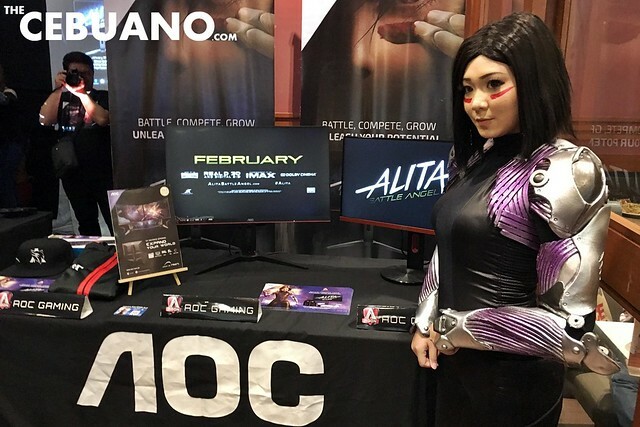 During the gathering, AOC introduced AGON, the company’s exciting new line of gaming monitors with never-before-seen features. After the short program, all guests were treated to a sumptuous lunch at Chicken Savory, and later, to a block screening of Alita: Battle Angel at the Director’s Club Cinema at SM Seaside City Cebu. • The AOC G1 series comes in three variants: the 32-inch C32G1, 27-inch C27G1 and the 24-inch C24G1.